Want even more? �We are getting over 215 HP (Depending on intercooler temp) from�the TMS power�pulley, Shark Injector software kit and Borla Stainless Sport Exhaust! Kit includes�custom TMS/Conforti software loaded in�a "do it yourself" Shark Injector unit, a billet aluminum supercharger pulley, great looking and great sounding Borla cat-back exhaust. Installation of the TMS power pulley takes 3-4 hours - professional installation is required.�The�Shark Injector - can be installed yourself in less than 15 minutes and is completely reversible if you wish. The Borla Exhaust - Easy bolt on and takes about 1 hour. Want even more? We are getting over 215 HP (Depending on intercooler temp) from the TMS power pulley, Shark Injector software kit and Borla Stainless Sport Exhaust! Kit includes custom TMS/Conforti software loaded in a "do it yourself" Shark Injector unit, a billet aluminum supercharger pulley, great looking and great sounding Borla cat-back exhaust. 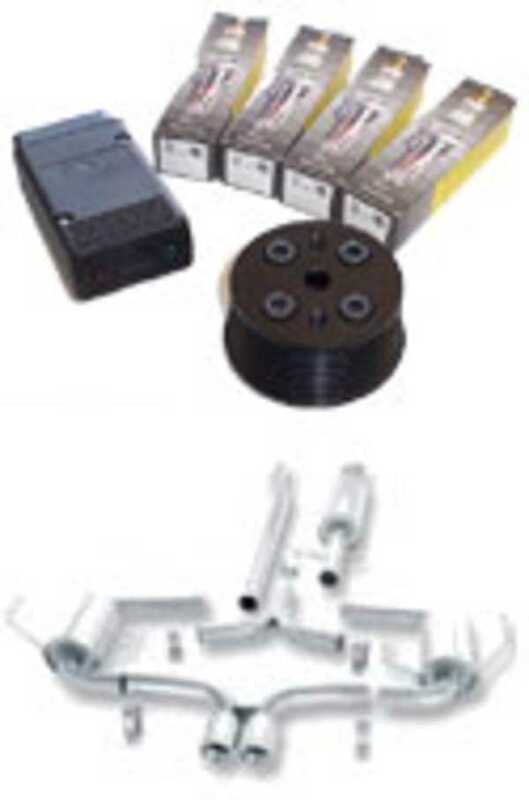 Installation of the TMS power pulley takes 3-4 hours - professional installation is required. The Shark Injector - can be installed yourself in less than 15 minutes and is completely reversible if you wish. The Borla Exhaust - Easy bolt on and takes about 1 hour.